For children, and adults alike, hypnotherapy and/or EFT are very good methods for controlling the bladder, Enuresis. People try varied approaches to help with bed wetting, many never think of hypnotherapy and yet it does have great results, and is such an easy method. Bring children from 7 up for a consultation, they do enjoy it. See more on the children page here. Empathetic help through initial tough times with relaxation and coping strategies is so comforting. 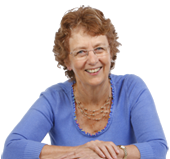 EFT is wonderful for dealing with old bereavement issues. The worrying memories are negated. There is release of the nicest kind, with lovely memories now remembered and the opportunity to move on more confidently. Binging is an eating disorder. The programme used supports the binger to understand the triggers that cause binging, gently deal with related memories, and change routines so that new habits can be formed. It is life changing as the new found confidence shows itself. 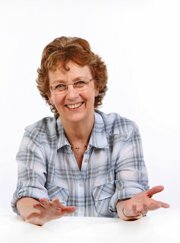 I am delighted to have helped people, who have binged all their lives, to learn EFT and engage in hypnotherapy, to change unwanted behaviours and become more happy in themselves. See more on the weight page here. Using hypnotic relaxation techniques, in the form of audio recordings and/or self hypnosis, minimum (if any), drugs are needed during labour. The mum to be can be in control of her own body throughout this life fulfilling experience. I am a certificated therapist for pregnancy and childbirth. I suggest you use my relaxing hypnotherapeutic downloadble audios during pregnancy, and then come and see me by the 32nd week, or earlier. Erythrophobia is the fear of blushing which further deepens the blush. 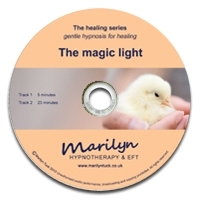 Hypnotherapy and EFT can help you deal with situations when they occur, quieten down the circulation, reduce the redness and give you new confidence. Pleasant deep breathing exercises are a part of the hypnotic process. Taking in good clean air and expelling all the stale air aids the hypnotherapy process and improves your health. This particularly benefits sportsmen and women, obese people, asthmatics and smokers. Naturally smokers should quit if they have breathing issues. Teeth grinding, bruxism as it is called, wears away the teeth and can cause jaw fractures, jaw pain and misalignment. It needs attention and it can be stopped. Feedback from clients in London suggests that grinding and clenching of the teeth is common amongst city workers with tight deadlines and work stress. Mouth guards to wear at night are commonly prescribed by Dentists, though few people seem to persevere with them due to the inconvenience. Bulimia involves binging on food and then feeling guilty, and purposefully vomiting, starving, using laxatives, or exercising to get rid of it. It is all very secretive because of the guilt involved. Often bulimics have suffered anorexia in their earlier life, they have an uncomfortable view of their body, and are embarrassed by it especially when with others or friends. Their thoughts are continually focusing on food and fluctuate from loathing it, to working out ways to get more of it. There are many people with bulimia and those I have worked with are delighted with their progress and the support given. The aim is to stop the binging, take the worry away, relax and de-stress, then gently work into stuff from the past holding back progress. While it has often been a long term condition, it must be realised that it will take time to mend, but is better done now than left longer. If you feel out of control at times, guilty too, and need help come and deal with it now. More on the weight control page. Bullying in adults comes in language patterns, overbearing attitudes, mood swings, mental, physical and sexual abuse. Often someone bullied is too scared to tell anyone but lives in fear of times when with the perpetrator. Even fluctuating parental moods and anger can cause lasting emotional issues. As parents we all have a duty to our children to protect them and keep them safe. As adults we have a duty to recognise bullying behaviour in our peers, upline, parents and relationships, and bring it to the persons awareness. During a consultation with me openness and honesty is encouraged. 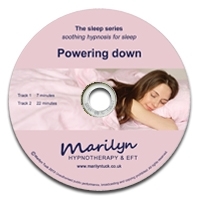 Hypnosis allows the muscles to relax, EFT releases the emotions involved. The person finds new coping skills, feels calmer and learns how to be strong and confident again. Bullying behaviour should be reported to the authorities as soon as possible to save others suffering, too.